An unidentified man is suspected of triggering a bomb in the southern suburbs of Stockholm, according to media reports: The inhabitants of neighbouring houses have reportedly been evacuated. 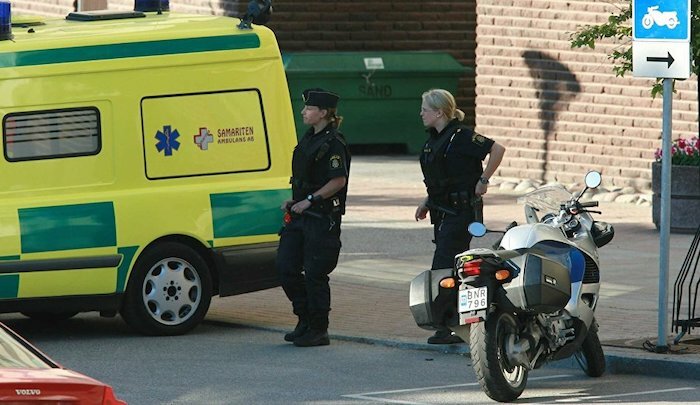 Police are conducting an investigation at the site of the explosion in a residential area of Varberg in Skarholmen, south of Stockholm, according to a Stockholm police statement: Police stated that they are considering the blast to be an “isolated incident”; at present, no larger threat has been identified…. Earlier, Swedish media reported that the blast might have occurred by the detonation of an explosive device: According to unconfirmed information, the man who triggered the bomb is likely to have killed himself in the explosion.